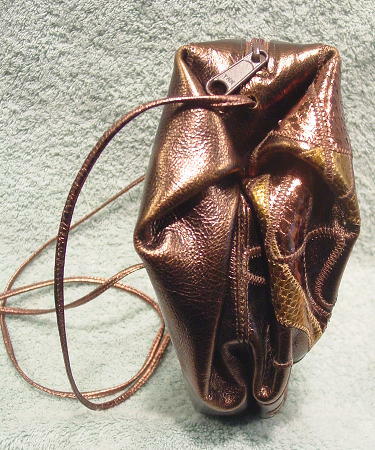 This bronze-copper-tone leather purse is by Carlos Falchi and was made in the USA. 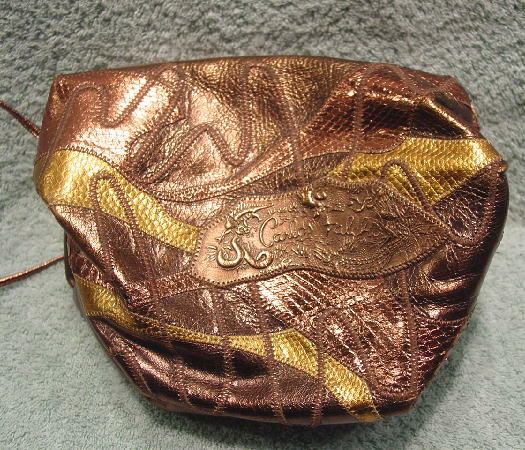 It has snakeskin patches in bright copper and gold-tone on the front. 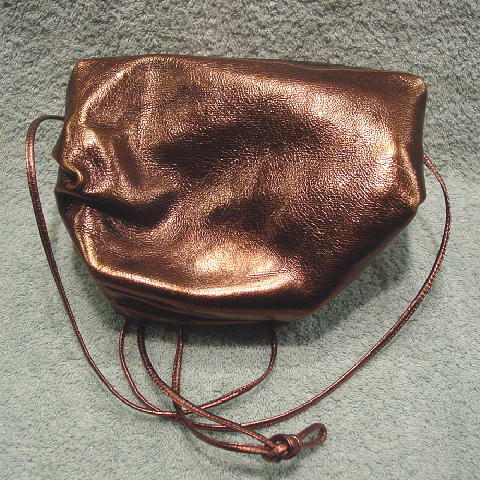 There is a top side to side zipper and a thin 45" long shoulder strap. Both sides have the front and back sides gathered inward. The front also has a freeform thread design and a patch with elevated designs and Carlos Falchi written in the center. 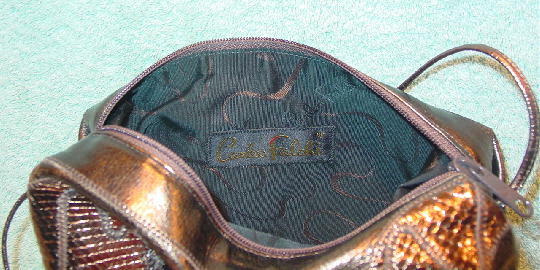 There is a black fabric lining with freeform copper-tone lines and Carlos Falchi in tone-on-tone letters. The interior back side has a black patch with Carlos Falchi on it.